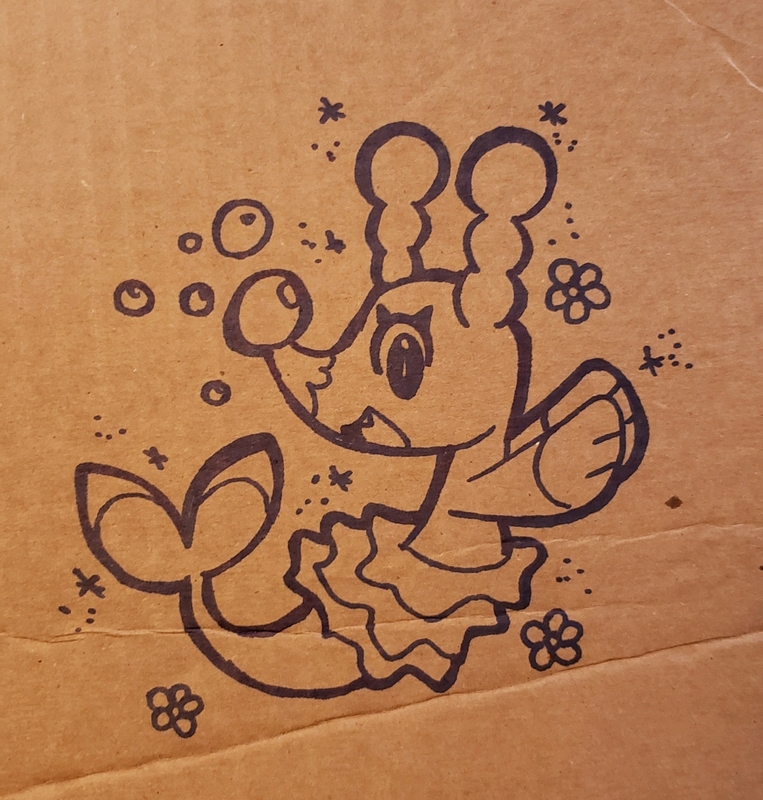 first thing I saw was the glaceon and brionne drawings on the box! so cute!!! 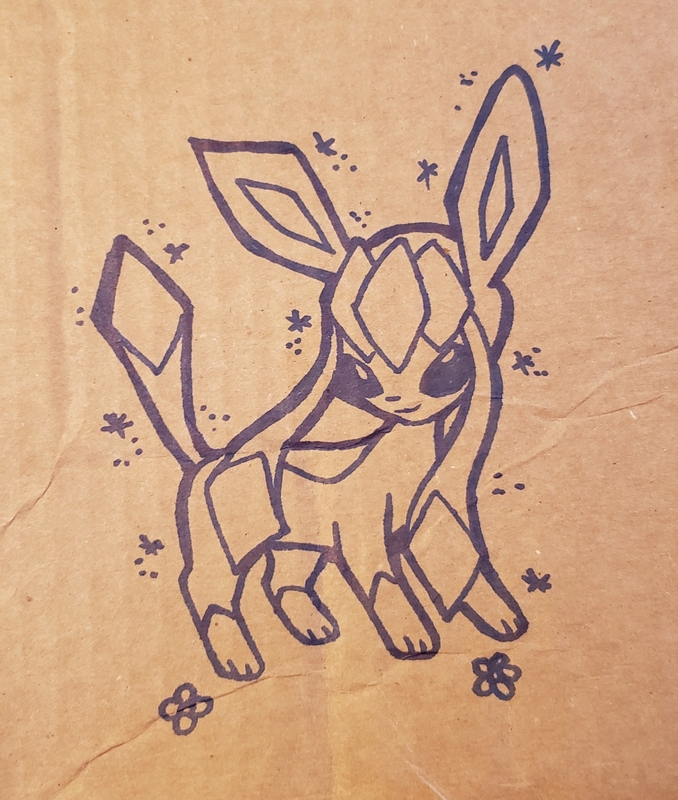 More cute art was inside the package! 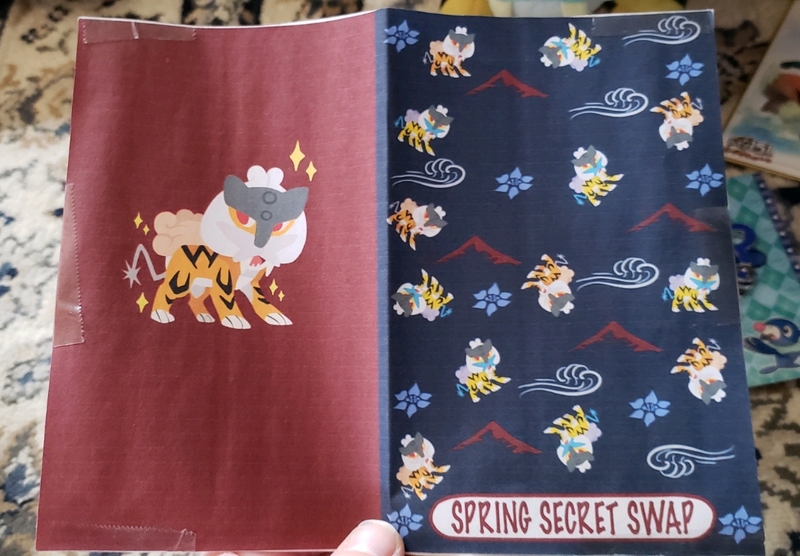 I love the pokemon time style raikou art ;o; and aaaaaa the shiny babies are so cute! And heres all what was in the box! 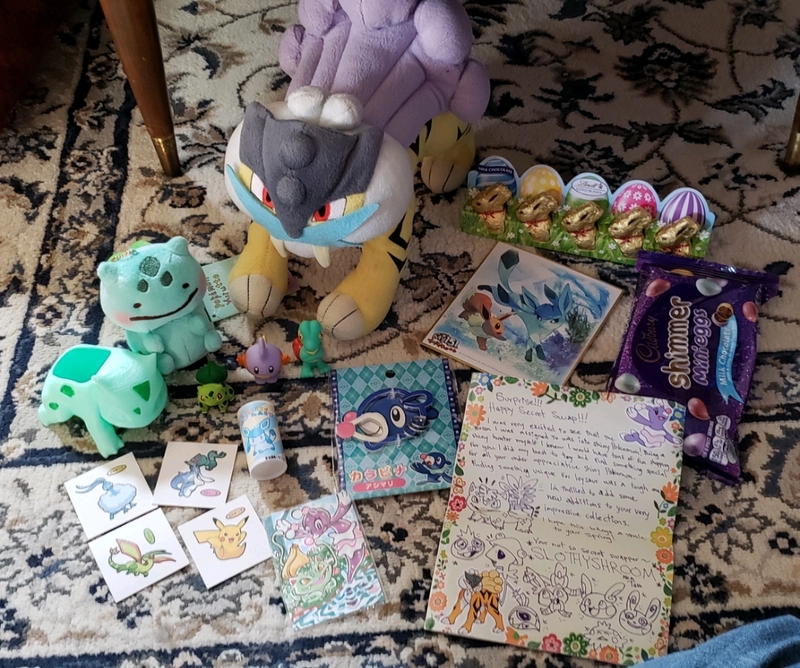 My gifter was none other than slothyshroom !! !